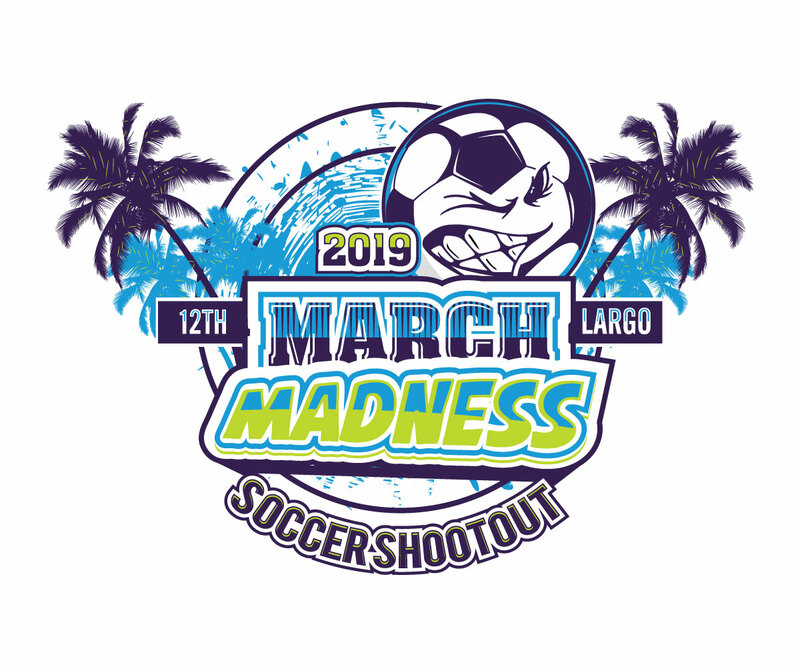 The 2019 March Madness Soccer Shootout is for U8-U15 boys and girls teams and is a GOT SOCCER tournament. Last year’s tournament hosted over 190 teams. U8/U9/U10 7v7 teams are limited to 12 players identified at Registration. U13/U14/U15 11v11 teams can have 22 players on their rosters turned in at Registration; however teams must identify 18 players before each game with the referees. Only 18 players in each game are allowed to play. 4 Team Division- 1 Group of 4. Each team will play 3 games and top 2 teams in points will play in Final. 6 Team Division- 1 Group of 6. Each team will play a random schedule. The 2 teams with highest point total in the ENTIRE Division will play in Final. 8 Team Division- 2 Groups of 4 Each team will play 3 games against the other 3 teams in their group. Group A winner will play Group B winner in Final.